We’d love your help. Let us know what’s wrong with this preview of Teaching with the Brain in Mind by Eric Jensen. To ask other readers questions about Teaching with the Brain in Mind, please sign up. Eric Jensen's books are mostly terrific, though I would love some more detail in the implementation aspect. As a neurophysiologist, I know the brain stuff, what I'm looking for is how to put the whole thing in action. I would like to see a style that more parallels the book Classroom Instruction that Works, where that team uses clear and detailed examples from a class in a variety of fields and levels so you can see how to put their stuff into action. Jensen has a lot of theory, but not a lot of Eric Jensen's books are mostly terrific, though I would love some more detail in the implementation aspect. As a neurophysiologist, I know the brain stuff, what I'm looking for is how to put the whole thing in action. I would like to see a style that more parallels the book Classroom Instruction that Works, where that team uses clear and detailed examples from a class in a variety of fields and levels so you can see how to put their stuff into action. Jensen has a lot of theory, but not a lot of practical way to put it into action. SO I thought the book was good, but not stellar. He has the brain research to back up his findings, however, and he knows that material well, and he does have good ideas, it just is lacking the detail that I would like. He does cover the gamut of brain research and how it affects learning. And he does give some ideas of how to help the learning process, the recall process and ways to improve students "getting it." He's clear, and any teacher can tell you, that material learned in one arena is often only recalled in that arena, so kids can't take what they learn in math to the science class unless specifically shown the new context. He gives ways to overcome that. And that the emotional state matters (duh), and for kids in poverty or other trauma-laden home lives (abuse, alcoholism) will have more difficulty in school, and gives so practical ideas, but again, no clear and detailed examples. He speaks about the need for physical exercise and movement, and the need for a good physical environment. Good luck with that. The value system in this country is not supportive of education, and doesn't seem likely to shift anytime soon. We give it good lip service, but we don't walk our talk. He also speaks about social interactions and the need for safety and how to mitigate peer pressure. I find appreciation in the brain research on classroom and instruction. The chapters leading up to the application were focused on brain research and brain function. I was able to apply the concepts to my classroom or students especially on rewards and motivation, that was helpful. Jensen's research was thorough, more than I needed, but helpful to lay the foundation for understanding. I wish there would have been more application of the research versus depth of research. 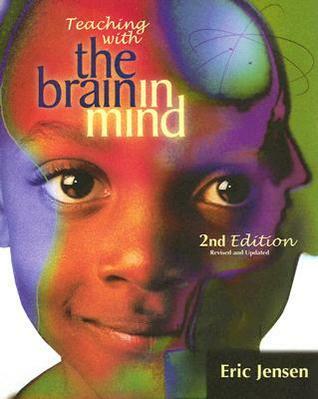 Educators read this book I find appreciation in the brain research on classroom and instruction. The chapters leading up to the application were focused on brain research and brain function. I was able to apply the concepts to my classroom or students especially on rewards and motivation, that was helpful. Jensen's research was thorough, more than I needed, but helpful to lay the foundation for understanding. I wish there would have been more application of the research versus depth of research. I read this book in 2006, just before completing my masters in literacy. It was around this time I became much more interested in neuroscience, an interest that continues today. While reading it, I remember frequently wondering why we hadn't learned the concepts presented in this book in our undergraduate teaching programs. Thirteen years later, I still highly recommend this book. Tôi rất thích những thứ thứ thuộc về Jean Piaget giai đoạn cuối khi ông phát triển một thứ tri thức luận dựa trên sự hiểu biết đầy đủ về hoạt động sinh lí của con người (tri thức học sinh-triển - genetic epistemology ). Trong vòng một hai hai thập kỉ gần đây, cac nhà nghiên cứu về não bộ ngày càng hiểu rõ thêm về não bộ của con người, dần dần cho thấy những ý tưởng của Piaget là thiết thực . Và đương nhiên, các nhà giáo không thể làm ngơ trước những tiến bộ khoa học này. Việc vận dụng những hiểu Tôi rất thích những thứ thứ thuộc về Jean Piaget giai đoạn cuối khi ông phát triển một thứ tri thức luận dựa trên sự hiểu biết đầy đủ về hoạt động sinh lí của con người (tri thức học sinh-triển - genetic epistemology ). Trong vòng một hai hai thập kỉ gần đây, các nhà nghiên cứu về não bộ ngày càng hiểu rõ thêm về não bộ của con người, dần dần cho thấy những ý tưởng của Piaget là thiết thực . Và đương nhiên, các nhà giáo không thể làm ngơ trước những tiến bộ khoa học này. Việc vận dụng những hiểu biết này không chỉ giúp nhà giáo tự tin hơn với các phương pháp giảng dạy, mà còn hạn chế được những vội vã đốt cháy giai đoạn vì duy ý chí. Đây là một cuốn sạch tuyệt vời về brain-básed teaching, một lối dạy học dựa trên những hiểu biết khoa học thực nghiệm về não bộ và tư duy. Đó là lí do vì sao tôi sẽ xếp cuốn sách này vào loại gối đầu giường, phải đọc đi đọc lại. This was a quick and easy read and helped me sound smart at parent teacher conferences. A great book for teachers! Although it could be organized a little better, this is one of the best books I've read on learning. Each chapter gives practical suggestions on creating an environment that works with the brain, not against it. Many of the routines and traditions found in schools are in direct opposition to the current knowledge about how the brain works. Fantastic read for educators! It was a required reading assignment in my graduate program, and it really changed my understand of how students process information. Helped me grow tremendously as an educator. I know this isn't the latest edition but the information, theories, ideas, and suggestions this contains are nonetheless wonderful. Definitely a good place to start even if you don't have access to later editions. Short and to the point, left me with more questions than answers, but that is what good books do. Definitely one of the better books related to teaching that I've read in a long time. It's full of practical information relating to how we can help our students' brains to grow. Once students habituate to a signal, it's time to change to something new. It takes up to six hours to complete forma Definitely one of the better books related to teaching that I've read in a long time. It's full of practical information relating to how we can help our students' brains to grow. It takes up to six hours to complete formation of the synaptic connection for implicit learning. Prior knowledge is not a mythical concoction. It consists of real, physical brain matter. We all have high and low energy parts of the day. The brain actually forces us to take it easy, adolescents are especially prone. Because of this, portfolios are a more accurate means of showing what a child can do. They use snippets of different times of the day. People who exercise have more cortical mass. Great glossary of brain terms in the back. Strong connection to SMART training, reinforced my belief that the essential skills in the SMART room helps the increase cross body tasks etc.... Lack of screen time is better for young kids because constant screens inhibits the brains ability to develop in the toddler years. Repetition works but can backfire if too monotonous. Our brain works best if we learn less content more deeply. "More" is not optimum because learning deeply involves multiple stages of processing. The frontal lobe limits us to 3-7 chunks of info at a time. Brain learns better by being active in learning rather than passive. Exercise helps oxygen get to the brain and increases connections among neurons and neuron growth. The research in this books was very interesting. I tried implementing the longer increments of brain down time(recess) to thirty minutes which worked wonderfully for my students. I also agreed with many of their strategies on how to improve student learning. It specified the importance of making sure children DO NOT become frustrated while learning. This was an exceptional read suggested by a dear friend of mine. Great resource, relevant in the classroom and full of practical suggestions. In some ways it feels like operating instructions for students. One of the ideas I appreciated the most was the need to give students settling time. This is time where students are not learning anything new, they are resting, but their brains are still working to process the information. 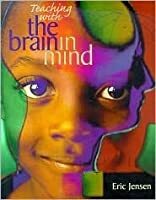 This book is easy to understand and has practical suggestions on how to apply teaching to the science of brain development and learning. It is written so traditional classroom teachers who need their students to use memorization techniques, etc. can apply brain research to their teaching methods. He touches on some good points that suggest reform. Rather than focus on cognitive psychology and theory, Dr. Eric Jensen provides a text that is both in-depth and accessible as he describes the biology of the brain and how it impacts learning. Knowing this, teachers are challenged to adapt their pedagogy to meet the needs of students based on what their brains are capable of doing. Keep them moving. This book teaches about the latest brain research as it relates to teaching. I would suggest it to any teacher at any level. Actually, I'd suggest it to parents as well. We're learning more and more about how our brains work. This book gives background and techniques for improving student achievement. Definitely worth reading. Okay, this was assigned reading for work. Dont get me wrong I liked the information and agreed with the authors premise, however I wish there something more to it. It through out tons on data and what you could do but it felt like it was missing that one thing to make using it realistic. So many ofmthe suggestions were things outside of my control. It is amazing what neuroscience has taught in the past 5 years about how we learn. This resource presents complex concepts in a highly accessible manner. Basic brain anatomy, how the brain changes over time, how positive and negative emtions affect the brain..and much more are included in this easy to read book. Great information but nothing earth shattering within these pages. I guess I knew more about brain based learning than I knew. I did like the research and I'll probably share some of that with the faculty at school. Solid book on the brain science behind many aspects of teaching. Scary how much our brains and our ability to learn are affected by the first five years of our lives. Excellent continuation of my understanding of the brain and learning. I look forward to reading Jensen's next book. A lot of information on the brain and how we learn. I learned a lot, but wish there had been a guide to help teachers focus on a few really strategic things they could do in class, NOW. Students return in 15 days! Every teacher (and parent) should read this book. Absolutely fascinating, with so many practical suggestions and facts about how the brain learns. Jensen has done a marvelous job of distilling information from the latest brain research. Much better than the first edition that I read in 1999! This book will validate what many teachers already do in the classroom. It has practical, useable suggestions and Mr. Jensen should be the Secretary of Education. It talks about currently brain research and how it relates to learning. I thought it was pretty interesting to read about how the brain works. I still have a couple chapters left. Excellent textbook; definitely recommend to anyone who teaches. It's a very interesting book. To get you thinking and reconsidering most of your teaching practices. Worth reading.